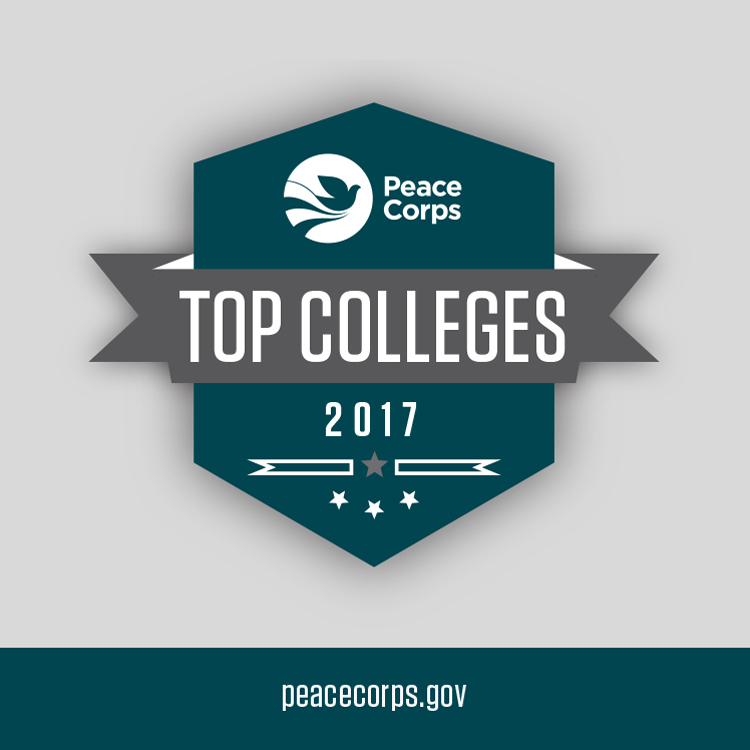 The Peace Corps announced today that Whitworth University ranked No. 4 among small schools on the agency’s 2017 Top Volunteer-Producing Colleges and Universities list. Service in the Peace Corps is a life-defining, hands-on experience that offers volunteers the opportunity to travel to a community overseas and make a lasting difference in the lives of others. There are 12 Whitworth alumni currently volunteering worldwide. Since the Peace Corps’ founding in 1961, 174 Pirates have traveled abroad to serve as volunteers. The university is among six Washington schools on the top colleges list. View the complete 2017 rankings of the top 25 schools in each category here and find an interactive map that shows where alumni from each college and university are serving here. The Peace Corps sends Americans with a passion for service abroad on behalf of the United States to work with communities and create lasting change. Volunteers develop sustainable solutions to address challenges in education, health, economic development, agriculture, environment and youth development. Through their Peace Corps experience, volunteers also gain a unique cultural understanding and a lifelong commitment to service that positions them to succeed in today's global economy. For more information, visit the Peace Corps website.